This is a very mild but delicious roll. The asparagus is sweet and juicy, while the smoked salmon is nice and salty. It really doesn’t need any accompaniment, but if you would like, you can mix in some wasabi with your mayonnaise to add an extra little kick. Microwave the asparagus for about 1 minute. 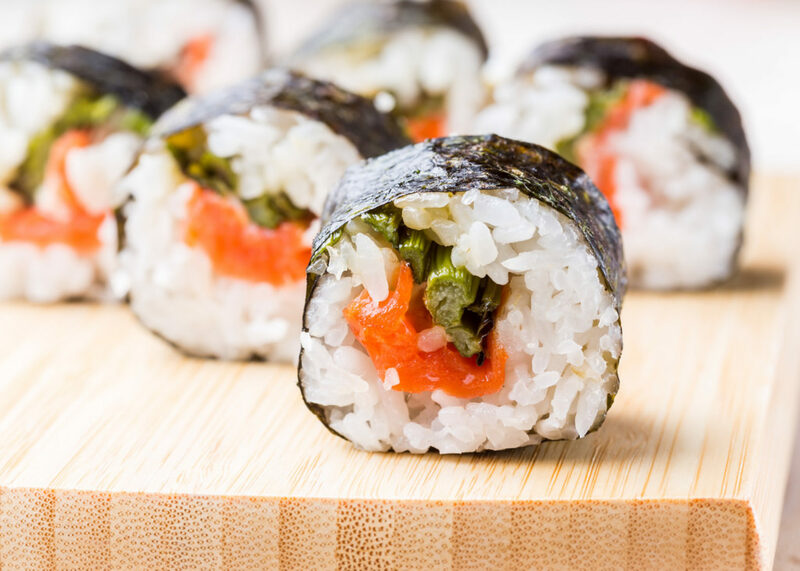 Roll the sushi. For your fillings, use a stalk of asparagus, some smoked salmon, and a line of mayonnaise. YUM! We made the same thing on Sunday!